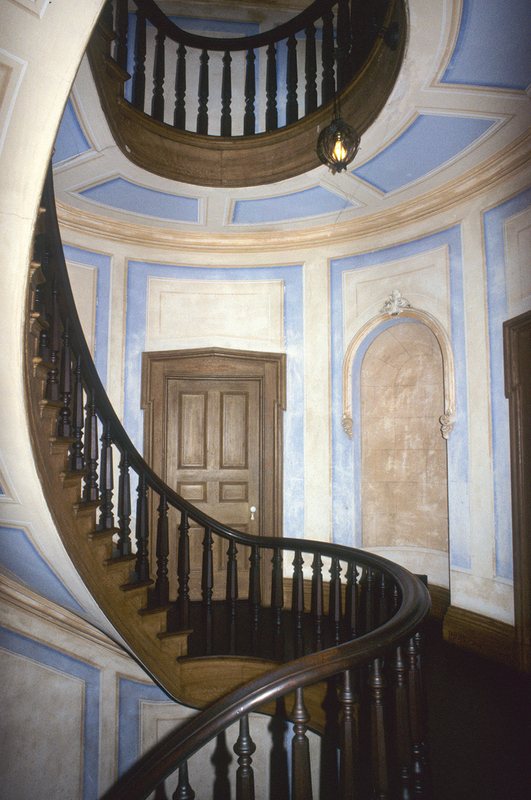 Decorative interior painting provided homeowners, especially during the 19th century, with a wide range of options for embellishing their houses. By employing an “ornamental painter”or perhaps giving free rein to a talented family member, a homeowner could endow a single room or an entire house with a lively and fashionable character. 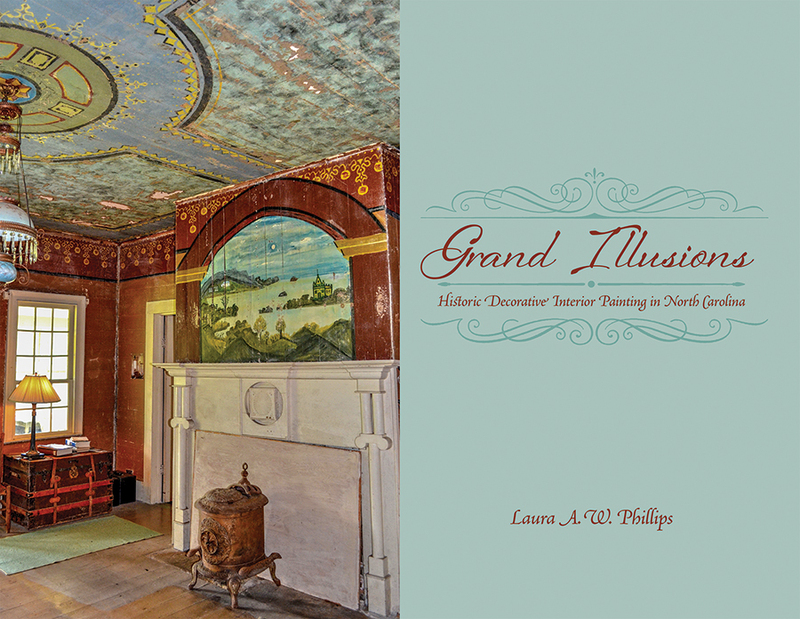 Decorative interior painting enlivens houses and other buildings throughout North Carolina, from the Coastal Plain through the Piedmont to the mountains. Hundreds of examples have been recorded, but these likely represent only a fraction of what once existed or, in some cases, still exists but remains undiscovered. The clientele for decorative painting spanned a broad range of economic levels. As might be expected, some clients were wealthy landowners and entrepreneurs who occupied large and impressive houses. At the same time, a surprising number were middling farmers who lived in modest vernacular dwellings. 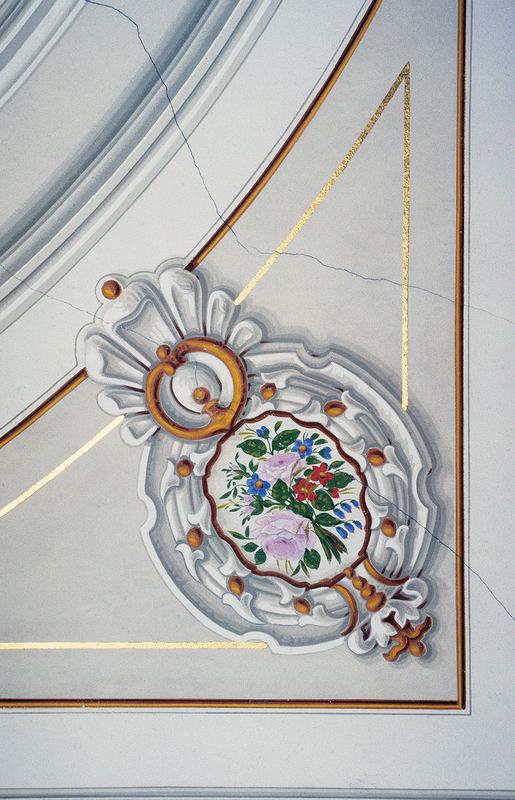 Thus, decorative painting was commissioned both by those who could afford fancy wallpapers and expensive woods and marbles and by those of lesser means who could acquire the services of a traveling painter in exchange for not much more than room and board. What all these clients had in common was that they found decorative painting to be a desirable way to adorn their homes.